Aberdeen Appointments Agency (aaa) approaches recruitment in a different way to many of its competitors, relying on face-to-face meetings and an individual approach, rather than anonymous databases and algorithms. But aaa didn’t feel that potential clients and candidates were aware of this vital distinction. So we created a multi-dimensional campaign that not only differentiated aaa from its online jobs board competitors, but also established the company as a premium player in Scottish recruitment. Appealing to B2B and B2C audiences, the campaign was designed to be equally effective and relevant throughout the recruitment process. Fifth Ring produced a striking campaign that perfectly captured our ethos and communicated our approach to recruitment. 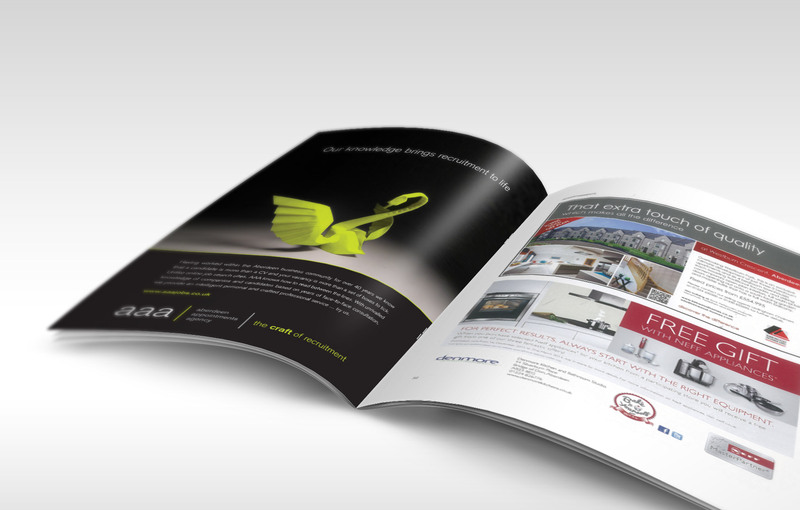 The campaign enabled us to differentiate ourselves in a highly competitive market. We highlighted aaa’s individualised approach by comparing it to the efforts of a skilled craftsman; a complex combination of patience, practice and experience. Origami, the archetypal ancient art, provided the ideal visual device. 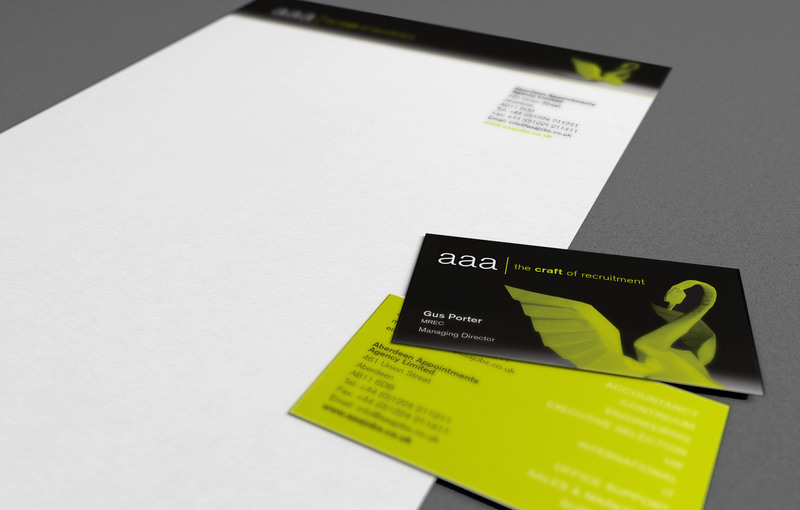 Use of aaa’s existing colour palette in the visuals ensured that the agency’s visibility to-date was not lost, and also gave the origami images a modern twist. 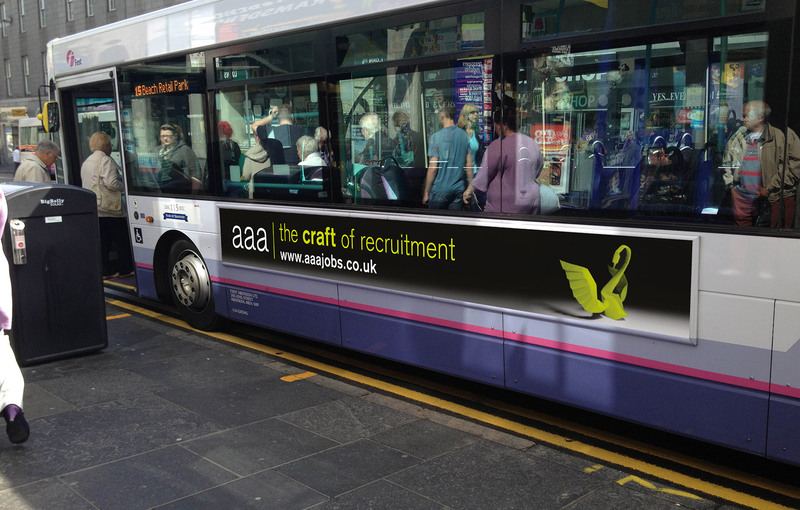 We supported these striking visuals with the tagline ‘the craft of recruitment’, thereby formalising the essence of aaa.